Steve Ballmer Trampoline Dunk? 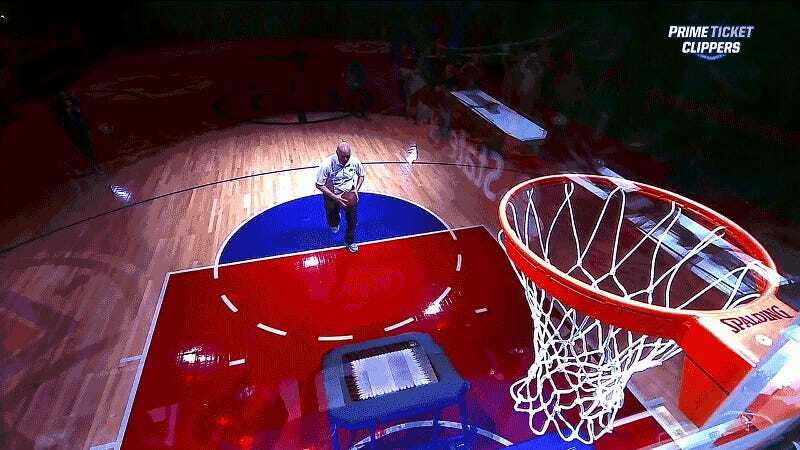 Steve Ballmer Trampoline Dunk. The Los Angeles Clippers unveiled a new mascot during halftime of their game against the Nets, and for some reason they went with a condor that looks suspiciously like a toucan. Vince Staples, your thoughts? Yeah, that’s about right. Anyway, as part of the unveiling, Clippers owner Steve Ballmer—really just a superfan who happens to also be worth $22 billion—showed off his ups and soared to the hoop for a glorious dunk*. Here’s another angle for your viewing pleasure.